Washington (CNN) - A crippling winter storm may be wreaking havoc across the United States, but former Vice President Al Gore says that doesn't mean global warming is debunked. Gore, an outspoken environmentalist, took to his blog yesterday to post a response to Fox News Channel host Bill O'Reilly, who wondered on his show why much of New York State was covered in snow. "Why has southern New York turned into a tundra?" O'Reilly asked on his show, which aired January 27. "I have a call into Al Gore." "I appreciate the question," Gore wrote on his blog. "As it turns out, the scientific community has been addressing this particular question for some time now and they say that increased heavy snowfalls are completely consistent with what they have been predicting as a consequence of man-made global warming." Gore said that increased moisture in the air - a result of global warming - can lead to increased snowfalls. O'Reilly's remarks are about as intelligent as someone looking outside at the tree in the backyard and declaring that the entire forest is healthy because that one tree is looks good. The weather in one locality over a brief period of time will still fluctuate even though the overall climate continues to warm. Meanwhile, it may be cold in NY but even hotter in many other places around the world. The global warming deniers are similar to the smokers who continue to insist that there's no proof that smoking causes cancer. Is there anything that MMGW theory does not predict? I know it predicts more huricanes, less huricanes, more snow, less snow, more regional cold, less regional cold, more drought, more flooding... I don't know enough about global climate patterns to say that we're (in aggregate) warming or not; nor do I know if any climate change is significantly impacted by mankind. It's hard not to get suspicious when a theory predicts any and every single eventuality that may happen, other than what has NEVER happened: climate stasis. Al Gore should not waste his time to educate stupid guys of Fox news, people who watches fox news and not believe in evolution are uneducated, and STUPID period. Its my understanding that this happened to earth in the past. Why is it so inconceivable that it could happen again? Bill O'Rielly is an arrogant, pompous, pontificating moron who apparently spouts of with stupid questions rather than read up on issues before he makes what he thinks are valid points in his snarky condesending way. He's a schmuck. Get back on your private jet Al, and ride into the sunset. So if global warming can cause weather that's both hotter and colder, drier and wetter, what evidence could ever disprove it? Kind of like "Heads I win, tails you lose. Yeah, it's real warm here in Colorado at -15. Give me more of that global warming! I'm no fan of Al Gore and his ego, but give the guy a break O'Reilly. At least try to understand the science before you attack it. So, when it's a hundrend degree outside...it's Global Warming and now that the US is covered in snow...it's also Global Warming? C'mon man...you can't have it both ways. The fact is; weather is unpredictable...it's really hot in some years and it's really cold in others. Some time it rains, some time we go through dry season. We all know that human pollute the air, so does other life form on Earth. We just do it more. Does that mean we're causing all this crazy weather? Some "scientist" say we do and some say we don't. It all depends on who you ask and what they believe. The one question that people fail to ask. How much money are these people making off of the socalled "Global Warming" craze? 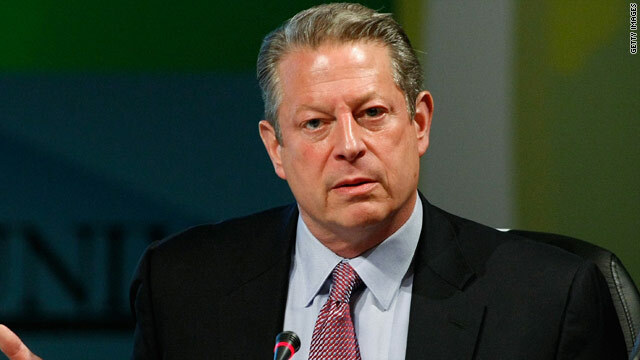 Why don't someone ask Mr. Al Gore how did he come across so much money to be flying around the world in his own jet and has millions in his account? And there's a whole lot of poor souls asking for Ice Water in HELL ! Oh please, still trying to save his reputation, still trying to sell us that same old story!!!!!! The only think he got right from Global Warming was NOTHING!!!!!! Please, Gore take a long vacation, oh wait, he lives in Malibu????? I agree with Al Gore that the great snow season does not prove anything about global warming. But I also believe the science showing that global warming has more to do with natural cycles than man's industrial activities. There are plenty of excellent reasons to be responsible and avoid pollution. Global warming is not one of them. Wow. I thought Beck was winning the stupid competition among conservatives. Here's a newsflash Bill: Although it may be snowing at "your" house, it might not be snowing somewhere else. You might want to look up the word "climate". I believe they cover that in the sixth grade. This doesn't disprove that Gore and O'Reily are both idiots! What kind of mind medicine is Al Gore on??? He's got it backwards. It's Global Cooling! How does Global warming produce some of the Coldest, Snowiest, and most frigid conditions all over the World?? This is not only been scientifically proven for years, it is also common sense. If there is more warmth and moisture in the air, then when temperatures fall, there is going to be more snowfall. Pundits who don't read anything but what the mouthpieces print need to pick up a book. The first ice age was directly related to the warming of the planet. Extreme temperatures are a product of the phenomena. Fascinating how people tend to blow this occurance off simply because the word "man-made" is attached to it. Global warming either exists or it doesn't. Most agree it exists – But they call this one "cyclical" (kind of like recessions are "cyclical" depending on which party occupies the White House – otherwise it is President So&so's fault). You cannot deny the historical evidence of global warming – well you can, but if you do you are an idiot on a talk-show with 1 million sheeple listening. They just don't want to acknowledge this one because it is called "man-made". God forbid ANYONE take ANY accountability whatsoever. I used to think it was just my students and the current generation. Now I see it has affected politicians and pundits, as well. How very sad. The reason why there is more snow fall is because there is more moisture in the air. Why is there more moisture in the air? It is because it has been heated up and put into circulation. God, O'Reilly you really are an idiot. Your thinking is so simplistic, I really can't call it "thinking" at all! And with increased snowfall comes increased reflectivity of the suns energy which in turns causes cooling. Come-on big Al, the argument can be made either way. Until you use some creditable recourses and real science go play with your Noble Peace prize and let the adults work. It couldnt be because a company he owns will make millions off carbon credits could it? It couldnt be that... Right? No im sure he really really does care about the world.. oh ya and money.. Hey Al, hows that leer jet, and your 20 thousand square foot house doing.. I bet they are nicely fueled, heated and electrified... I usually dont like libs, but a hypocritical lib is the worst of the worst..
Will someone please tell Al that the temperature needs to be somewhere around 32 degrees for it to snow. Of course like his president you can paraphrase the question: It is according to what you mean by "global warming", in some places on Earth 32 is pretty warm.